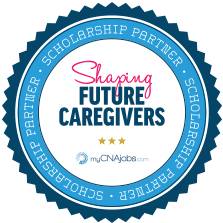 Quality CNA/CMA Classes partners with myCNAjobs to provide CNA scholarships via the myCNAjobs Scholarship Fund each year. CNA class enrollment takes place throughout the year and nursing scholarship applicants are reviewed each week. Quality CNA/CMA Classes, LLC offers CNA classes on site only at their location in Omaha, NE. If you'd like to learn more about taking classes to become a certified nursing assistant, you can contact the school directly at (402) 609-9583. Quality CNA/CMA Classes, LLC can share more about their CNA training programs. If you'd also like to find a job while exploring classes for CNAs, you can apply for a job to work as a companion as well.